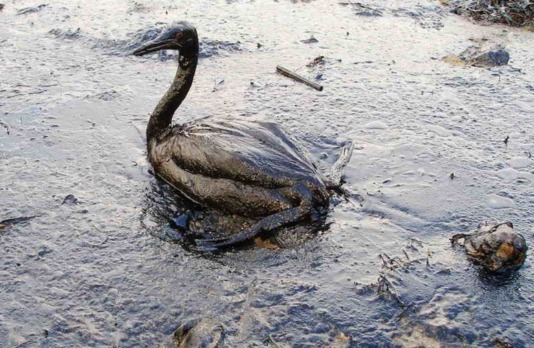 The activity of oil giant Shell in the Niger Delta recently came under international scrutiny as damages were awarded to a local farmer after an oil spill cover-up. Fairplanet demands action on the company's legal obligation to duty of care. We are aware of the fact that you, like most other major multinationals, have reassured the world of your strong commitment to corporate social responsibility. Like so many other highly profitable and wealthy corporations, we know that you are doing rather well in this field. You help and assist small and medium-sized businesses in Africa, take a stand against indoor air pollution, invest in renewable energy and technologies, work on the establishment of sustainable supply-chains and provide energy to low-income communities. However, we also know that over the last few months, a vast amount of newspaper headlines have been dedicated to your bad behaviour around the globe. A landmark lawsuit brought against you by the environmental group Friends of the Earth and four brave Nigerian farmers - a lawsuit that you have tried to fight off for many years - was finally heard in a Dutch court this year. Fortunately for you, the verdict only found you guilty of causing lasting environmental damage in one case. In another court case, you stand accused of more cases of pollution in the Niger Delta. As if this weren't enough, you are now being accused of having benefitted from a South African apartheid-era land law in the impoverished KwaZulu-Natal province. These unacceptable and appalling truths were a stark reminder of the fact that corporate social responsibility does not always equal real corporate behaviour. It is no longer possible for you to hide behind this facade of CSR investment and commitment. We call bluff! Enough is enough! Clean up your mess, Shell! We can no longer accept to stand by silently while you destroy some of the world's most important wetland and coastal marine ecosystems, such as the Niger Delta in Nigeria. Oil has generated an estimated $600 billion since the 1960s, as Amnesty International reports. Nevertheless, the majority of the Niger Delta's population lives in gut-wrenching poverty. Sadly, it is nothing new that corrupt governments and profit-orientated corporations feed their endless greed for wealth at the expense of ordinary citizens. Now this has gone a step further, since your striving for oil-related profits has seen the home and livelihoods of millions of people in the Niger Delta destroyed. The small but significant victory in the Dutch court case against you is a true milestone, because it demonstrated that it is now possible to hold international companies accountable for their actions overseas. Be warned, Shell! You are not above the law! The world is waking up to your atrocities. A few years ago, no one would have thought it possible that four fearless farmers from the Niger Delta would bring you to court in Europe. This is a glimpse of the future for you, if you don't act more responsibly and live up to your duty of care. Most importantly, we call on you to clean up the mess you have caused in the Niger Delta in order to save one of the world's most important wetland and coastal marine ecosystems as well as the livelihoods and future of entire communities local to this region. CLEAN UP YOUR MESS! SAVE YOUR FACE! Share this via facebook and twitter, and help us send a message that the age of acceptable environmental destruction is over.